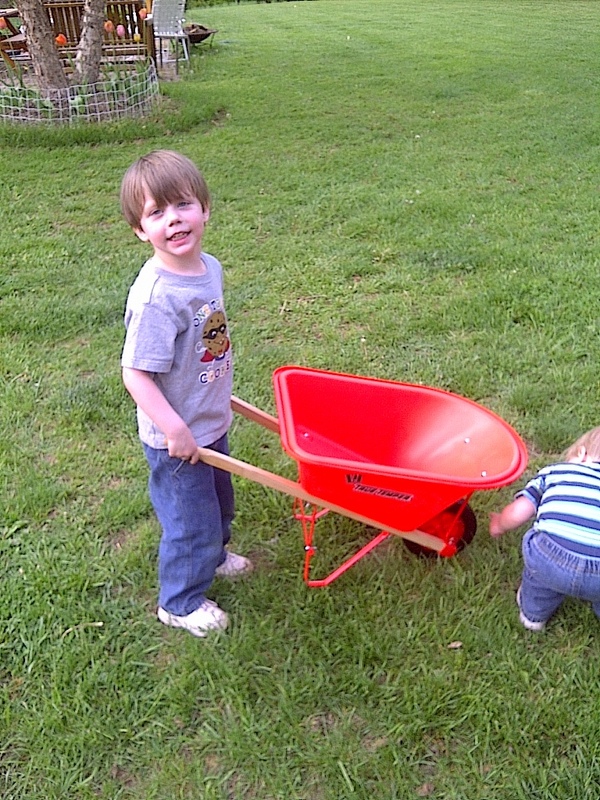 Dean and Mary surprised the boys with a mini wheelbarrow, so they could work in the yard! 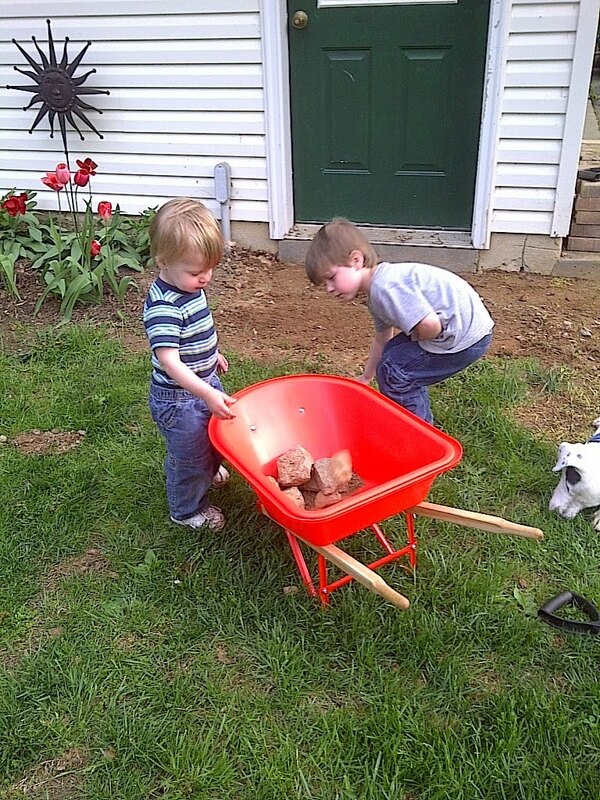 Mikey helped Dean move rocks and bricks! 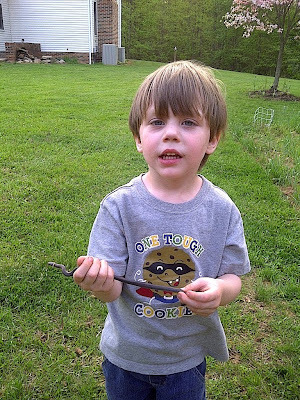 When the guys moved a brick, they found a ring snake sunning itself...guess who picked it up? 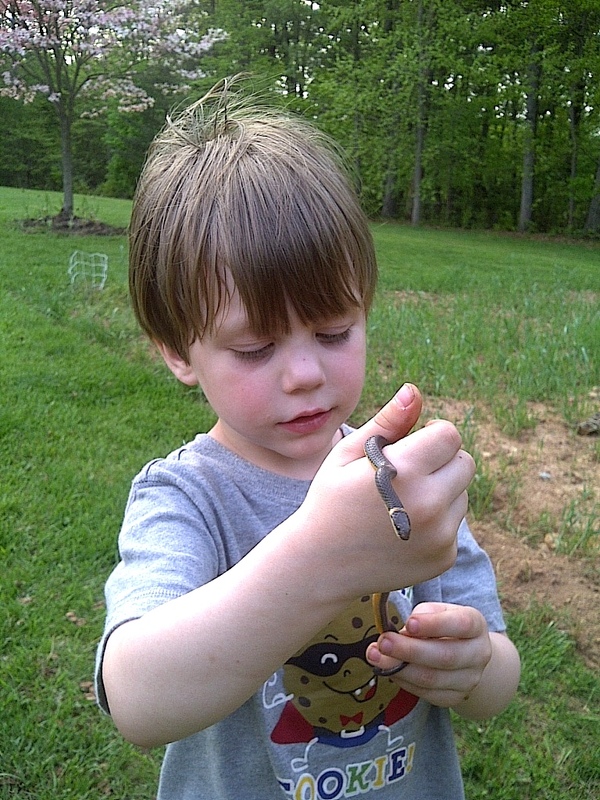 Mikey the fearless Snake Wrangler! 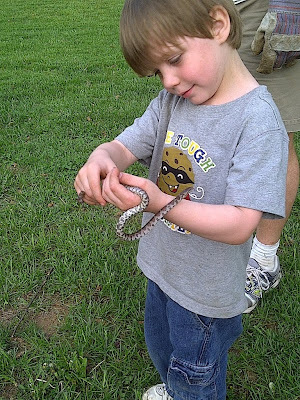 Ummmm, yes that is yet another snake...in the same day!! !